Traditionally associated with temporary classrooms, Portakabin specialises not only in creating contemporary learning spaces but is also challenging the status quo of traditional building. On average, a Portakabin building takes 50% less time to build and install than its counterpart ‘traditional’ builds. With scope to deliver buildings for the Zoology, Experimental Psychology and Biochemistry departments at the University of Oxford, Portakabin designers and engineers approached the design pragmatically. The Tinbergen Building had been providing an academic learning environment for the University since the ’70s and supplied over 22,000m2 of viable space. It was important that the relocation of over 750 students and University employees could be delivered within an incredibly tight timeframe while upholding and maintaining the University’s ambition to lead the world in research and education. The design and construction of the buildings involved elements of complexity from either an acoustic, building climate or mechanical and electrical (M&E) perspective and all ran simultaneously beside each other. The first building was completed in just under a year from the initial engagement in March 2017, at which point even the location for the buildings was unknown. Over 200 individual modules provide almost 7,000m2 of research and learning space across three buildings and include specialist zoological and biomedical laboratories, academic offices and teaching space. 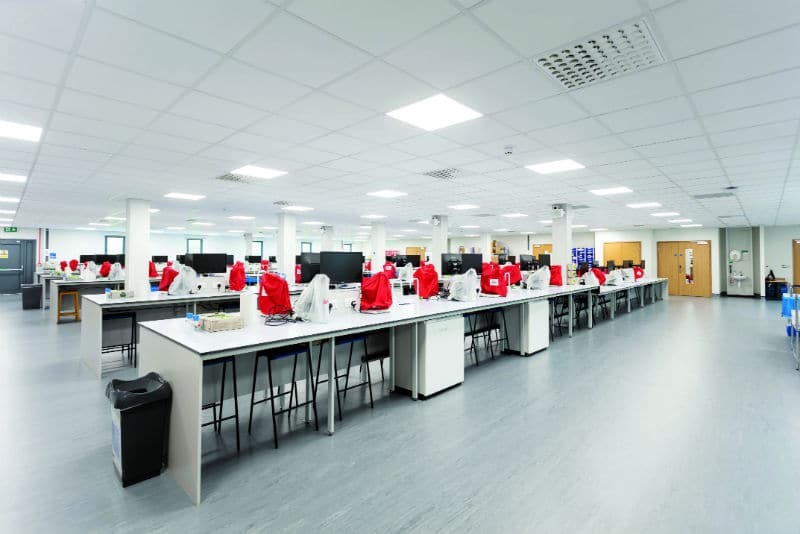 The first building to be handed over was on the university’s sports field and it has over 1,550m2 of specialist teaching laboratories, used by undergraduate students. The labs are modern, open-plan learning environments replicating the learning environments that had been provided in the Tinbergen Building. 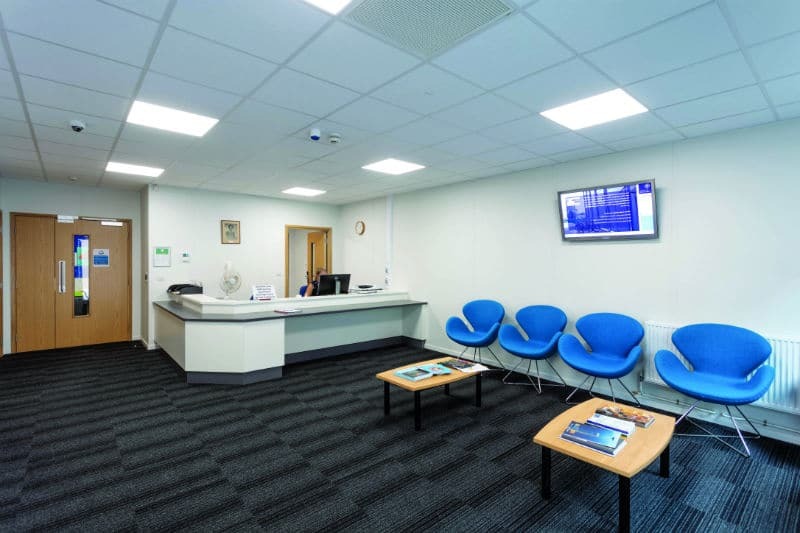 Portakabin designers have well-honed experience in producing the same exacting standards for this build as it does for hospital wards and surgical theatres. Throughout the project there was an additional requirement for a watching brief for archaeological finds due to its close proximity to previous find sites. A further two buildings were added to the portfolio and included experimental psychology accommodation with specialist acoustic separation over two floors for research programmes. 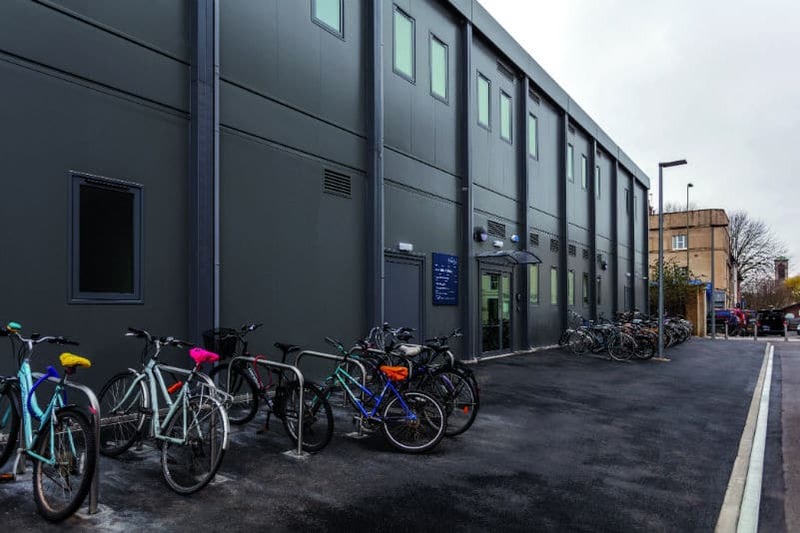 In the Radcliffe Observatory Quarter, Portakabin designed and engineered a two-storey building, providing over 2,650m2 of space specifically for testing facilities and office accommodation for the Departments of Experimental Psychology. It will accommodate over 100 university employees and over 80 potential test participants. “The footprint for this building was very specific and had to be carefully controlled. Designers had to take into account how people flow through the building in order to maintain separation between various groups of test subjects and researchers. Maintaining confidentiality for this sensitive work was key,” said Lee. 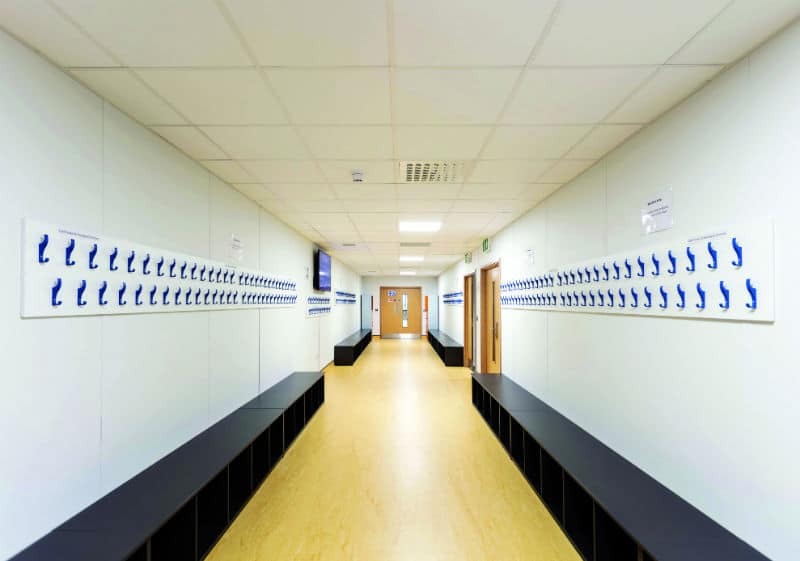 Scientifically, the rooms had to be able to uphold conditions for delicate audiometric testing facilities, which included temperature monitoring, humidity control and isolated acoustics. The third and final building has been built over two storeys, plus a plant room on the roof covering over 3,250m2. The building is rectangular, ensuring maximum efficiency of shared spaces and facilities, thanks to consolidating requirements and reducing internal circulation. Simple techniques such as positioning rooms that benefit from natural light around the perimeter of the building, with spaces not requiring natural light located in the deep plan part of the building, helped shape the building’s functional footprint. Lee explains: “The most challenging M&E aspect was the temperature-controlled rooms, required to provide a range of conditions between 4 and 37 degrees Celsius. Working closely with both the University and the supply chain, supported by Arup, our team could rationalise and agree the brief for these specialist spaces. Additionally, we installed specialist ventilation and gas detection systems, specifically to enable the use of liquid nitrogen within the respective laboratories. The plethora of high-quality activity at the University, including niche projects such as researching delicate spider webs, requires these specialist facilities and systems to complement the work. “As the pioneers of off-site construction, Portakabin has the design, engineering and project management expertise to construct buildings of any size. The buildings we are currently engineering are challenging traditional builds’ flexibility and potential. It’s time to sit up and take notice. Portakabin offers the flexibility to adapt high-specification internal space to replicate traditionally built rooms without any compromise on quality.